Almost every morning, you will see someone in our house making a smoothie. For me, it’s the quickest and most convenient breakfast too have. Especially when I get home from an early morning workout and need to get the kids ready for school. I can still sip on my smoothie will doing everything else that needs to be done on a school day. 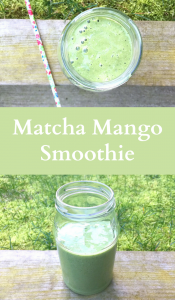 Lately, my favourite smoothie recipe has been a Matcha Mango Smoothie. It’s delicious, it’s healthy and the matcha gives you a little energy boost to get you going in the morning. 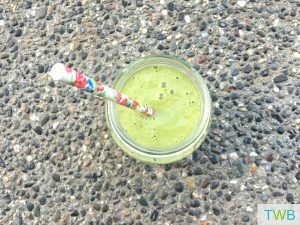 The original Green Match Mango Ginger Smoothie recipe comes from the Oh She Glows Everyday Cookbook. The book is full of amazing vegan recipes! I love the original recipe but I just switched it up a bit to suit my tastes and this is what came out of it! 2. Then enjoy your delicious Matcha Mango Smoothie for a perfect breakfast and an energy boost all in one! Smoothies are such a great way to kickstart the day, and a good blender makes it all so easy! This looks so refreshing and I love that it’s healthy and an energy booster! It’s so refreshing Sumaira! I think its that lime and ginger that give it a kick. Plus the matcha helps too! 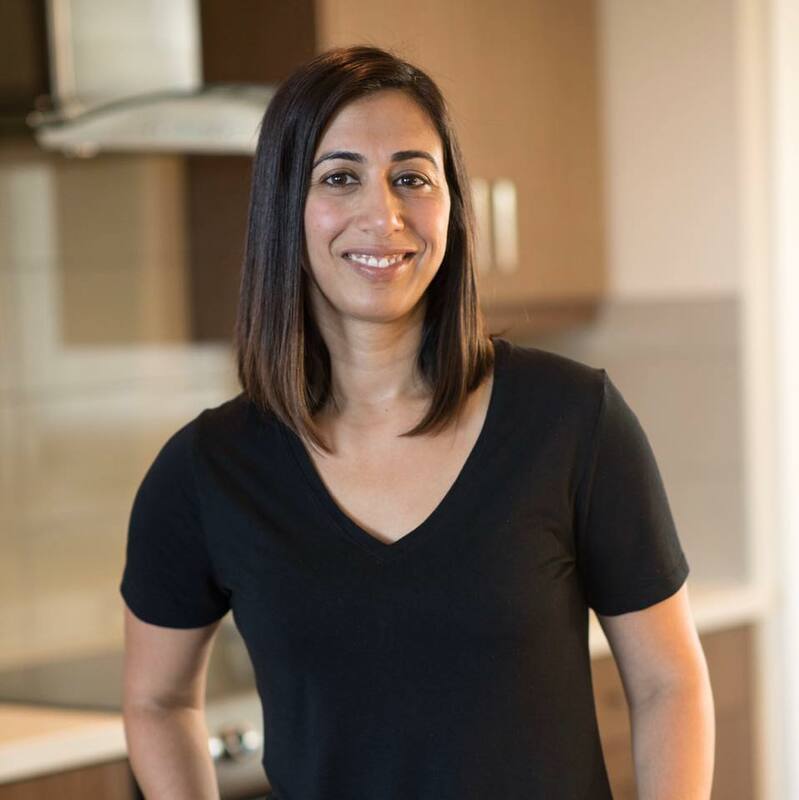 Such a delightful smoothie recipe, Salma! Perfect for the great start of the day!